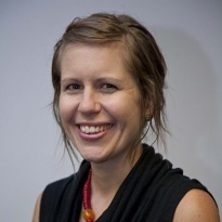 Dr Kath Benfer is a Post-Doctoral Research Fellow with the Queensland Cerebral Palsy and Rehabilitation Research Centre, The University of Queensland. Her Post-Doctoral work focuses on community-based early detection and intervention for infants at high risk of cerebral palsy in low-resource countries (India and Bangladesh). She was awarded the prestigious Endeavour Queen Elizabeth II Diamond Jubilee Scholarship through the Australian Commonwealth Government to conduct the study. Kath’s PhD explored oropharyngeal dysphagia, gross motor function, growth and nutrition in preschool children with cerebral palsy, in both Australia and Bangladesh. Her work arising from her doctoral studies has been published in 10 peer-reviewed publications and presented widely at international conferences. Dr Benfer has over 12 years of experience as a speech pathologist within paediatric disability, with community-based child and family support services. Kath also has an interest in cross-cultural issues in child health, having worked in Bangladesh for over 2 years both as an AusAid volunteer teaching on the country’s first Bachelor of Speech Therapy degree, as well as conducting research in this context. She has completed her Master of Public Health at La Trobe University in Melbourne within the research and international health streams. My doctoral research was the first to explore prevalence of oropharyngeal dysphagia (OPD) in a population-based cohort of preschool children with cerebral palsy (CP) using direct clinical measures; resulting in publication in Pediatrics (Benfer 2013). My thesis established new synthesis and testing of OPD measure psychometrics (Benfer 2012a, 2014c), improving the validity of my prevalence results. OPD was found in majority of children with CP (Benfer 2013) and not limited to those with poor gross motor function (Benfer 2015a, 2014a, 2013). Functional limitations were described in relation to gross motor function, enabling earlier screening and intervention. This study was replicated in a comparative study of children with CP in Bangladesh. It was unique in that it employed consistent methods and raters for CP diagnosis and functional ratings; enabling greater insight into the markedly different clinical picture of CP in a low-resource setting (Benfer 2014, Benfer 2016). This work earned a nomination for the international Gayle Arnold Award for Excellence and publication in Pediatrics (Benfer 2014). My contributions to research in the field of disability in Bangladesh are not limited to my own outputs, but also include supervision of masters and honours students, and research mentoring of clinicians. As a new researcher, my work has had a significant impact, including 13 publications, 143 citations, and 37 conference presentations (31 international). Gross motor function in preschool children with cerebral palsy: comparison between a high- and low-resource country. Is a GMFCS 3 a 3?